Windows are a focal point of a home. They not only let in the light, but they also complete the look in your house. Today, window designs come in handy. There are also different materials for your windows. With amazing technologies such as double glazing, you can easily explore different shapes, designs, and styles of windows to make your home one of a kind. 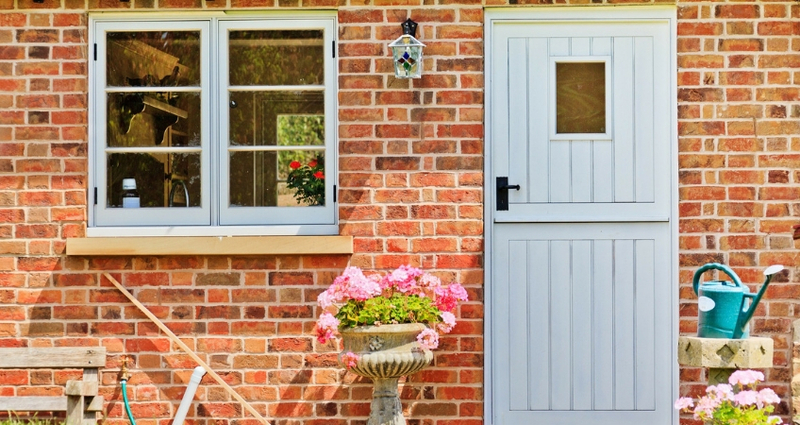 This piece helps you to understand more about double glazing technology, and why it is an ideal option for your house. Double glazing is a window technology that is tailor-made to ensure proper insulation in your home. In the past, a single glass panel was used to design windows. As a result, it was easy for cold or hot air to pass through. However, with a double panel, it is hard for air to pass through. The glass and air gap features make the window an excellent insulator to regulate temperatures in your house. 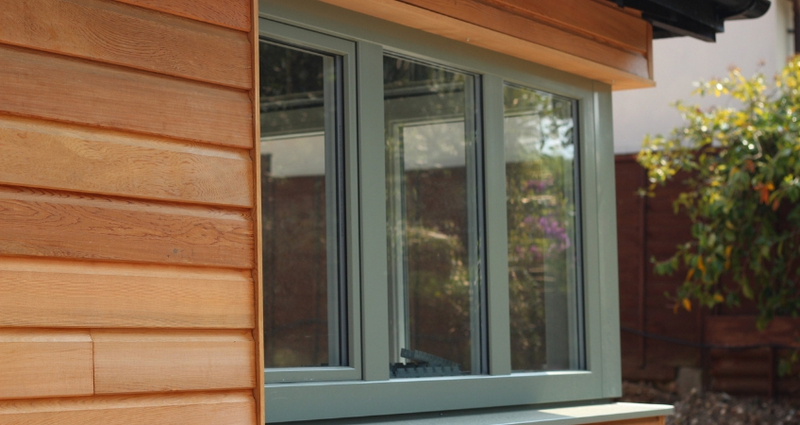 Double glazing is designed to make your home energy efficient. This is due to the two glass panes that allow for quality insulation. The type of glass used for double glazing is thicker hence, hard for heat or air to pass through. In addition, the air gap in the windows helps to prevent movement of heat through the window. Smart glass double glazing is an option that is made of a highly protective anti-glare film. It reflects harsh sunlight, therefore, significantly reducing heat gain during warmer months. When used in a double glazing unit, the insulation level of the window is greatly enhanced. Standard double glazing simply refers to two panes of standard glass. It is ideal for all weather conditions owing to its high insulation level. Thermal glass glazing on other hand is one of the most popular options that are great for extreme weather conditions. It works best on variable temperatures. It also uses smart glass in triple and double glazing units. When you choose this option, you enjoy extra insulation levels of up to 68 percent. Apart from quality insulation, the other feature that makes double glazing highly impressive is that they can be retrofitted. A second glass pane is fitted to an old or existing window. However, this is often a costly process because it changes the overall look of your window facade. One of the biggest advantages of using double glazed windows is the ability to reduce heat loss in your space. It also significantly reduces the amount of draft that can enter your interior space through seams. Compared to single glazing options, double glazed windows offer acoustic insulation. The vacuum between the two window panels reduces the amount of air and sound that can enter your home. It, therefore, makes the house warm, cool and quiet. Double glazed windows also offer enhanced security. They keep intruders away and they are ideal for your personal security. This is because of the toughened and laminated glass option on the window. What’s more, there is the presence of two glass panes on the same frame that allows for extra security in your property. Double glazed windows are also very efficient when it comes to preventing heat loss. This naturally translates to enhanced energy saving. This is quite beneficial especially if you live in a 2 or a 3 bedroom house. The amount of energy you will save is high hence, reduced electric bills. Apart from the fact that it can help you cut down on energy expenses, double glazed windows also enhance the aesthetic appeal of your home. 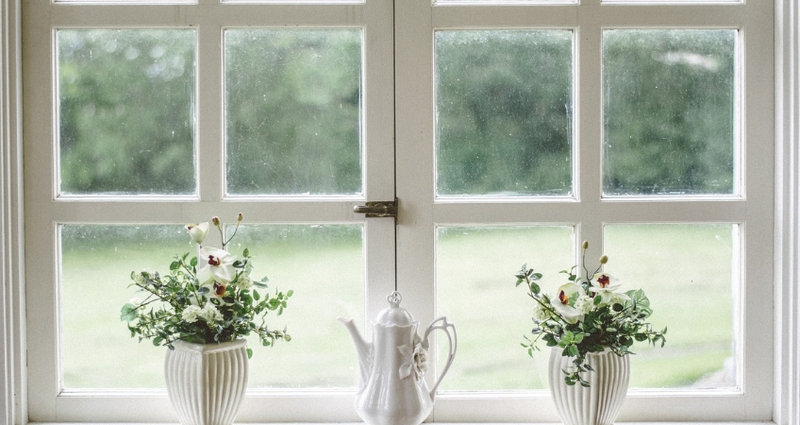 It is a window of opportunity that adds natural beauty to your home. The other perk that comes with the windows is that it is an upgrade that also adds more value to your home. Double glazing windows also come with absorbent spacer or desiccant to prevent your windows from getting foggy. Therefore, even if the temperature changes night and day, you will still enjoy quality air and lighting in your house. It is, however, important to note that based on the position of your windows and prevailing climate, you can easily notice small amounts of moisture build up in between the glasses. This can happen from time to time and it is not something to worry about. When it comes to cleaning double glazed windows, the task is simple. It is not different from the cleaning process of normal windows. You only need to maintain a regular cleaning routine to keep dust and dirt away. You can also use a periodic spray to wipe the glass as it keeps your windows clean and clearer. The thickness of the glass you choose. The type of glass whether it is smart or plain glass. A double or triple glazing unit. Type of frame whether timber or aluminium. Glass treatments for example anti-graffiti film, tinted or frosted glass. Therefore, by choosing double glazing, you stand a chance to improve or refurbish your windows. Double glazing makes your home energy sufficient. As mentioned above, there are different types of glass used for double glazing. They include grades A, B, and C. While A is of the highest quality and offers the best insulation, it can be relatively pricier. You can choose the type of glass you want based on the quality, level of insulation, strength, and self-cleaning feature among other options. There are also laminated or obscured glass options and if you are not sure of the best, you can always consult an expert for advice. It is wise to compare the types of window glazing windows in different shops. Consider suppliers that offer the best deals in the market. There are installers that offer high-quality glasses at an average price. Harness the power of the internet to learn more about different deals. You will be able to find deals that help you to save on cash. The cost of your windows depends on the number of windows you wish to purchase. In this light, count the number of windows in your house; consider the types of frames to be used for different windows and the type of glass. This will give you a rough idea on what to expect and the budget to work on. While double glazing windows can be costly, the ability to help you cut down on energy bills is a factor you shouldn’t ignore. In an average household, you can save a lot of money on heating if all windows are double glazed. Double glazing also soundproofs your home. It insulates the house and considerably reduces carbon footprint. In this regard, you need to determine whether you will go for glasses with a UV coat or not. A window with UV offers enhanced protection against harmful UV rays. These are important factors that you need to keep in mind as you plan to double glaze your window. Once you have determined the type of glass to use, you also need to choose a good company for fitting. A well reputed, experienced and professional double glazing company helps you to enjoy quality services. It ensures that it fits your windows in a way that meets set window fitting and building regulations. Remember, fitting of double glazed windows is a well-regulated task and it should ensure your safety. A reputed company also employs the use of eco-friendly installation processes. This is tailor-made to ensure the air you breathe is healthy and does not subject you to respiratory inspections. For this reason, consider an extensive search to find a company that is reliable. Working with the best company is definitely an excellent way to help you maximize on your windows. Such a company will always guide you in choosing the right type of glass based on the size of your home. Easiglaze is a reliable company that allows you to install quality double glazed windows professionally. With the double glazed solutions from the company, you are guaranteed a beautiful, warm, and welcoming environment in your home. Can I Reseal Double Glazed Windows? We are a professional family run, local business based in Billericay and covering all of Essex & East London, with over 25 years experience in the double glazing industry.